Choosing the best shower heads will make all of the difference in your luxury shower experience. There are literally hundreds of brands and styles to choose from. Since we write exclusively about the art of the luxury home, we could not get by without creating a list of the best shower head recommendation for luxury homes. Artistic design is what focus on when we are reviewing home styles, architecture, and furnishings. Our list of the best shower heads includes the artistic design criteria – these shower heads must look great in designed luxury bathroom. But a great shower depends on much more than just the look of the shower head. 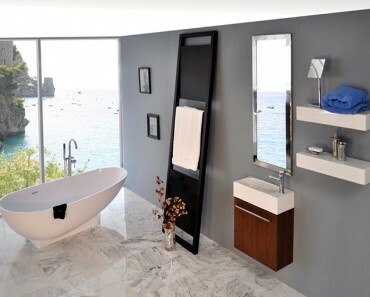 The perfect luxury shower depends less on design and more on the streams of water that the shower head produces. The best shower experience is often based on individual taste, but the amount of water, the strength of the spray, and the shower spray area are the 3 defining characteristics of a great shower head. We tried each of these shower heads. We installed them and used them. 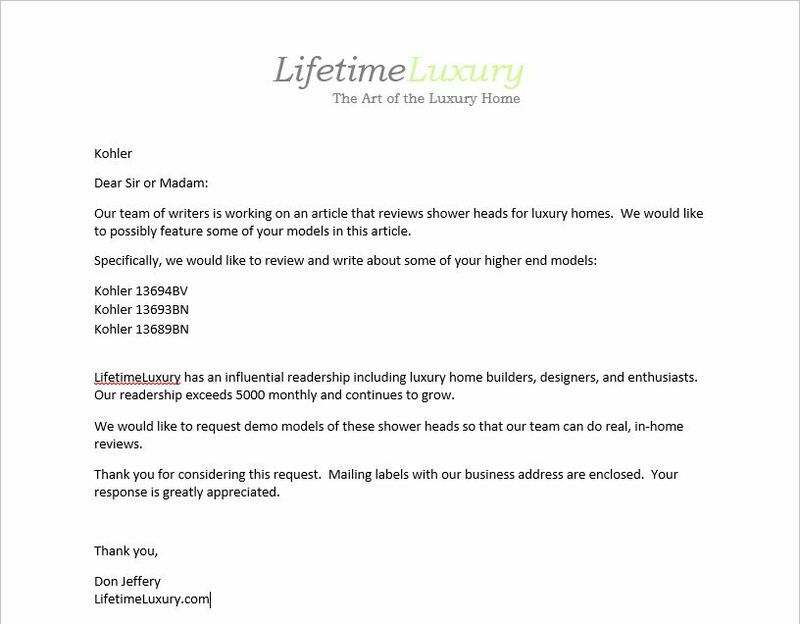 We sent out letters to each of the major shower head manufactures and let them know that we were writing an article for LifetimeLuxury. Not surprisingly, some of the letters received no response. But, we were able to obtain 9 high end shower heads to demo for this article. Thank you to Mohen and Kohler!! We absolutely love this shower head. This is easy to install right out of the box. There are only two steps – tape the threads with the included Teflon tape and screw on the connector. We were a bit skeptical because this is a large, rain type shower head. The thought was that these larger shower heads will provide less pressure and just give a “drizzle” shower experience. 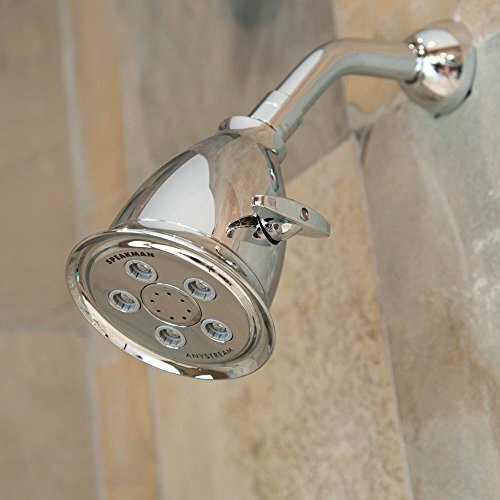 But after evaluating this shower head it won the top spot on our list of best shower heads! The actual experience of this shower head is a almost hard to explain. This is an 8 inch square with 144 nozzles that that each push out a steady and surprisingly strong thin stream of water. It is tingly… we like it! The individual water streams are thin, but there is so many of them that the overall effect is quite generous and great for a fast wash or for a longer, relaxing shower experience. Every one of the shower nozzles worked perfectly. Each stream of water was identical and there was no clogging or weak streams. The box says that it provides 2.5 gallons per minute of water. So, for the heck of it, we placed a 5 gallon bucket in the bath tub and did our own test. The bucket was filled 1/2 way in just over a minute, so the claim is quite accurate. This really did not make any difference in our opinion of the shower head this but we thought it would be fun to test! If you like the large, rain style of shower heads we are sure that you would agree that this is one of the best shower heads on the market. We got this shower head shipped to us from Amazon. Opening the box was a good experience – the quality of the packaging was good, and the shower head is heavy and well built. 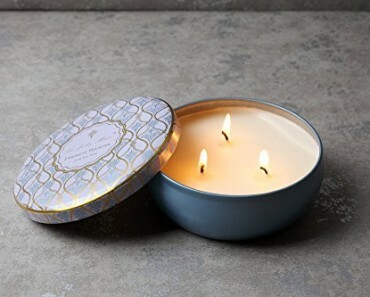 To be honest, we were pleasantly surprised because the relatively low price made us think that the quality would match, but we were clearly wrong. The installation directions were well written and easy to follow. 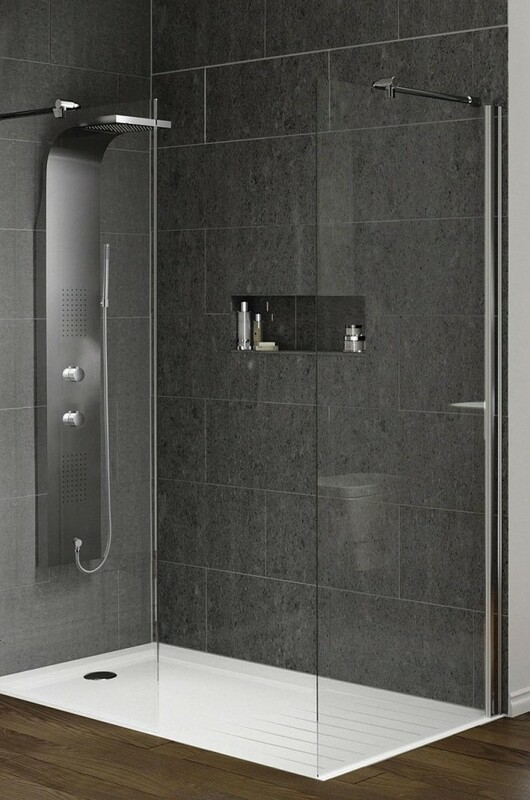 We like the square shape because the shower head stands out as a piece of the luxury bathroom. This shower head is noticeable – not just a small item that we recognize to be in every bathroom. The name of this shower head is quite appropriate. It is square and boxy. Our artistic side is conflicted about this. The shower head looks great, but it does not have “the look” of some more interesting models. But, we cant get over the shower experience. So, this is number one on our list of best shower heads. This shower head requires a longer shower arm in order to look right and work as designed. The longer arm is needed so that the unit can spray straight down. This is the case with most rain style shower heads. Replacing a short shower head is pretty easy. You just need to screw off the old one and replace it with the new longer one. But be sure to tape the threads with Teflon tape so that you don’t have any leaks. Teflon tape can be bought in Home Depot or in any hardware store. If you want to you can order a roll of this tape on Amazon HERE. Anyone can easily install this shower head in just a few minutes. Just tape the threads with Teflon tap and screw it on. Simple as that. This shower head will require a long shower arm that is not included in the box. 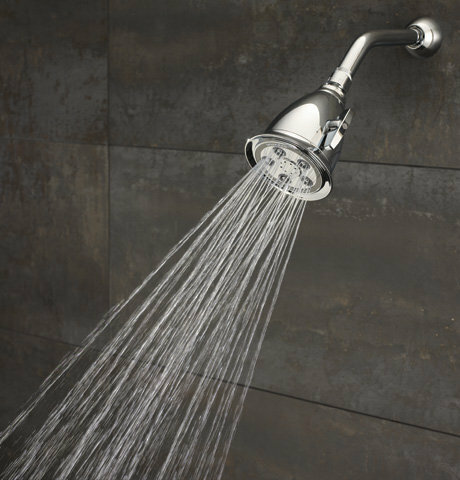 There are plenty of online reviews on this modestly priced shower head, so we felt it was important to include this in our shower head testing. We really love the rain style shower heads because they are large and stylish, but the drawback of the rain shower heads is that they don’t have the ability to adjust the water flow. It was a close call, but the Speakman shower head made it as number 2 on our list of the best shower heads. Water flow adjustment is one of the best features of this Speakman model. They call it Anyflow and it works really well. You can go from a small streams that are surprisingly similar to the Vida Alegría model and move to a stronger massage type shower streams. The shower experience is great. There is plenty of water on on any setting that you use. On the “massage setting” the water shoots out quickly but is not too harsh on your body. We would say that it equates to a medium light shower massage. There is a water regulator that can be removed with a wrench if you would like to increase the water flow and adjust the water massage to be more firm. We got the Speakman shower head from Amazon. We were actually a bit surprised by the size of this shower head because it looks quite small in the photos. 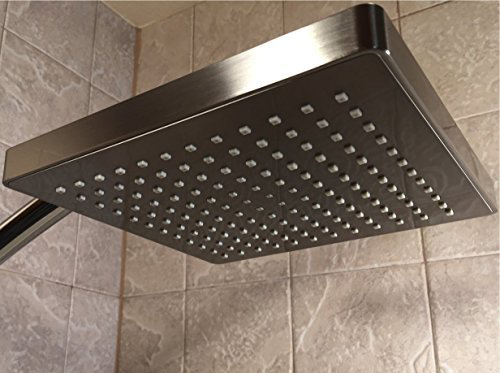 The actual size is about 5 inches across at the head so the unit is quite substantial compared to some other shower heads of the same style. The company totes that these shower heads are used in luxury hotels. We don’t think that we have ever encountered this brand during our hotel stays, but the quality is on par with what you would find in a high end hotel. This shower head is made out of Plastic! This is not of great concern to us. You can hardly tell – the unit has the shine of of real chrome. There are other colors available, but the head that we tested is the Polished Chrome model. This shower head comes in Brushed Nickel, Brushed Brass, Polished Brass, and Polished Nickel. We like the gleam of this shower head. The look is very clean and strong. The water stream adjustment lever is solid and there is an overall look and feel of well designed quality. 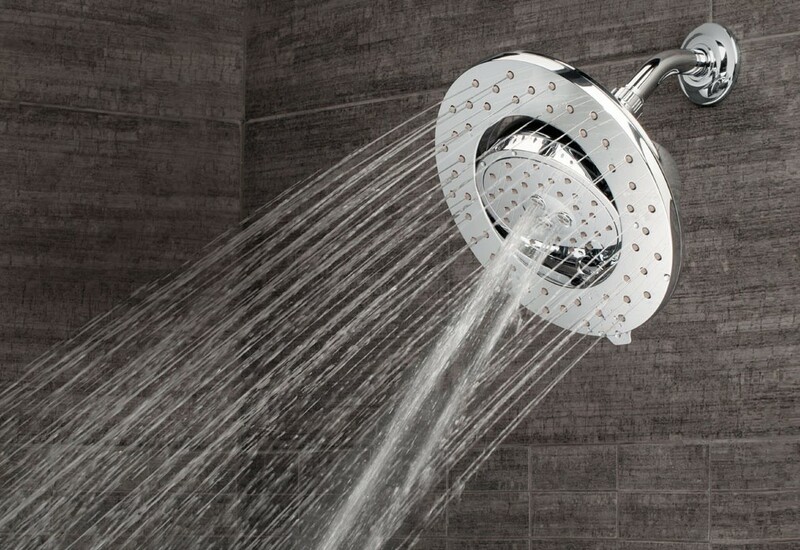 This shower head made it as number 2 on our list of best shower heads but it was a close call! See number 3 below to find out why. There is nothing hard about installing this shower head. You may want to remove the water flow control restrictor if you want to have a firmer shower experience. This can be easily done using some basic tools and the instructions that come with the shower head cover this. This is a plastic shower head, but it looks an performs better than many metal shower heads that we reviewed. The quality is very good and the size is nice – substantial for a shower head of this type. We are not overly impressed with the look and style of dual shower systems. 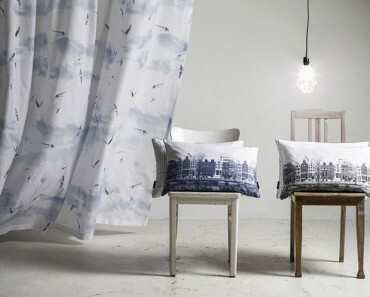 Simply put, they don’t have the simplistic and clean styling that we generally like in our decor. But despite this, the Dreamspa model made it to number 3 on our list of best shower heads for 2016! 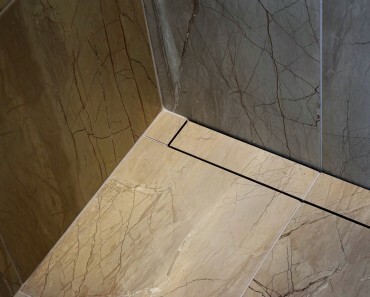 The shower system is well built – nice and heavy despite the fact that it is made with plastic. Our kids liked this shower even more that we did! The handheld shower wand is quite nice. This is perfect if you have dirty kids to wash. Instead of filling a container or filling the bath tub with water you can use the shower wand on its light setting. With the push of a button you can switch to a harder massage style water stream, but I would not recommend this for the little ones. The water sprays quite hard and is great for the adult – but too hard for young ones. 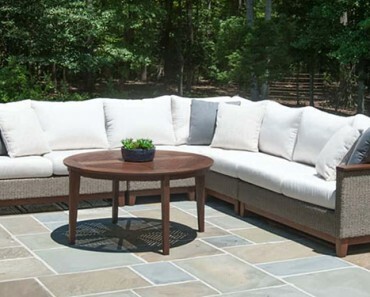 As you know, LifetimeLuxury.com focuses on high end design and luxury home goods. We really are not impressed with the look of dual shower systems in luxury bathrooms. We think that they are not artistic – we like simple asthetics. None the less, we are overlooking this issue because we also have a practical side. We also have kids! The shower might not look like a perfect fit in the ultra high end bathroom design, but it still looks pretty good. The quality is good and the shower wand handles great. The shower wand has a push button system that allows you to change the stream from gentle to massage with one hand. This is nothing revolutionary, but it works well. Installation is quite easy. This works great with a short shower arm, but any shower arm will do. Instructions are easy to follow – you should be able to have this installed in just a few minutes. The water regulator can also be removed if you want to allow for more water and faster flow. The style is good despite the fact that dual shower systems don’t look as elegant as single shower system. This is great if you have kids – The shower wand works great and makes it easy and fun for your children. It is not quite a fair comparison because this is quite a bit more than a regular shower head. But we got the opportunity to test this, we loved it, and so we felt obligated to include in in our list of top shower heads. There is a luxury home builder in our neighborhood who installs these Hutson Reed shower systems in all of his homes. We brought our kids over to this home for a birthday party and we got the opportunity to demo this shower system. The styling is unique, interesting, and cool. When you see one of these you want to turn it on to try it. That is what we did! The visual of the water flow is interesting. The water flows like a waterfall or can be switched to the more typical jet mode. So what does Thermotstatic mean? This is the best feature of this shower system. You don’t need to wait for the water to warm up! The shower water instantly is delivered at the perfect shower temperature. This is quite amazing! The shower is unique. In a luxury bathroom it is an eye catching feature. We like the look and we think that more luxury home builders will begin to adopt this type of shower as an option for their high end customers. The waterfall mode looks cool. Like all of of the shower head / shower systems on our list of the best shower heads, the actual shower experience is very nice. But this takes the cake as the most artistically inspiring and unique. This model takes a bit more to install than the typical shower head. The biggest issue is that it needs a power connection. If you are not a handyman type we recommend that you hire a professional for this installation. But, the experience and look is worth the extra expense and effort to install! You will be pleased and your guests will certainly be impressed. While this shower system is hard to install, we all agree that this is a standout on our list of the best shower heads. This is one of the shower heads that Moen provided a free free demo for us. But, we promise that this does does not influence our review. There are two reasons that this shower head made our list of top shower heads for luxury homes. First, the look is unique and appealing. The inner disk adjusts separately from the outer ring. This is a unique design that looks great and is also functional. The shower head is 4 inches wide and it has nice pressure for a head that is medium on the size scale. Actually, the water pressure is surprisingly nice making the water streams tingle your body a little. 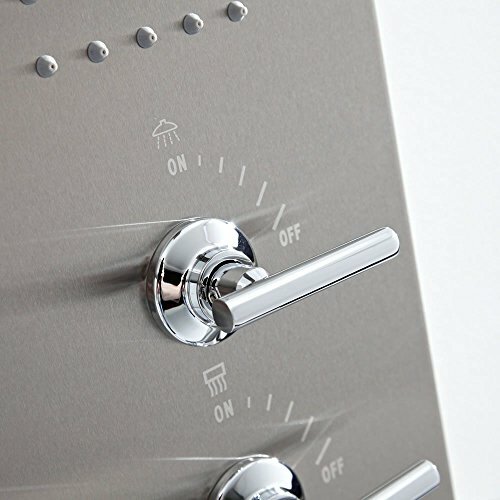 There are 3 water adjustment settings so the pressure can be tailored to the user. This shower head is plastic with a chrome finish. The quality is good and the weight is substantial for a plastic unit – It weighs just over 1 pound. 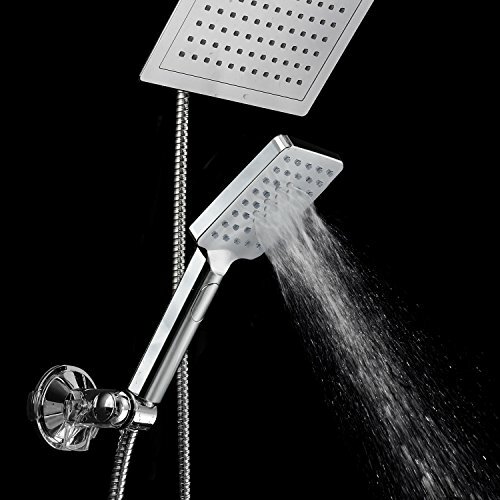 As stated above, we like the duality of the shower head – the adjustable inner disk. 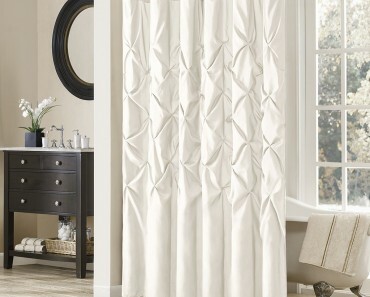 It makes a unique look – not something that you would necessarily notice unless you are using the shower though. But, as an overall package – Look, feel, and shower experience – this makes our list of the best shower heads. This is another easy to install shower head model. Just tape the threads so that it does not leak and screw it on. 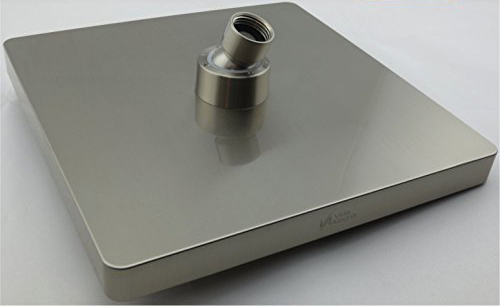 The water regulation piece can also be easily removed if you want the shower to spray harder and use more water than the 2.5 gallons per minute that is now the US standard. And there you have it. This is our list of the top shower heads for 2016. Please let us know what you think! Let us know if you have any recommendations for us to review!